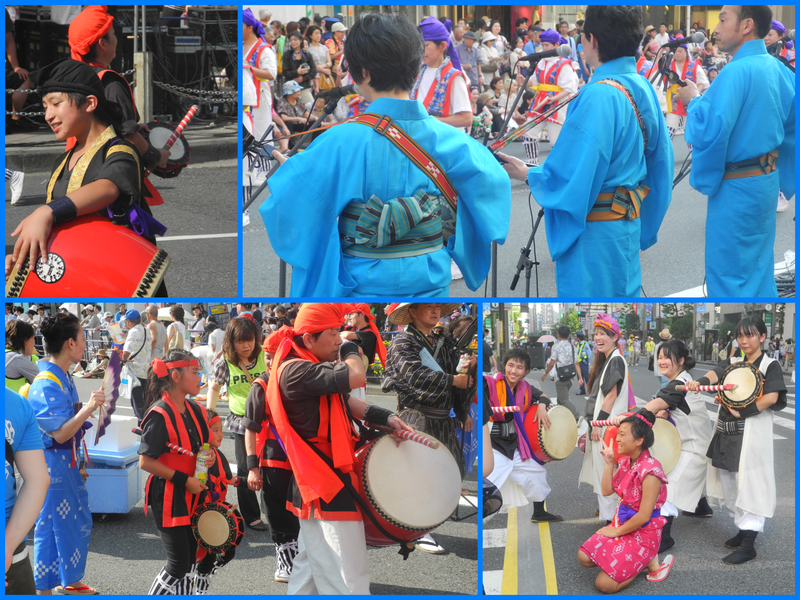 Japanese festivals are a great way to spend an afternoon…the dancing, the music (especially the drumming) and the crowds…oh the crowds. 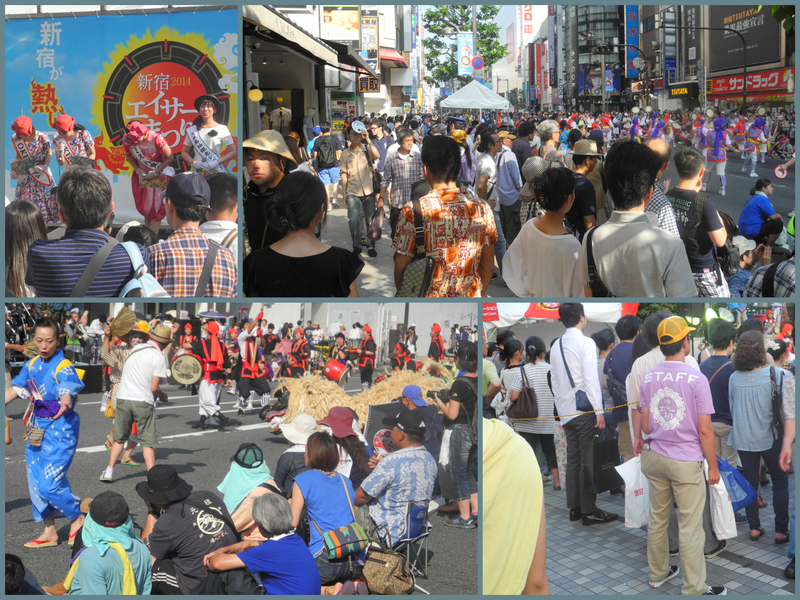 I totally don’t recommend festivals if you are in the least bit agoraphobic, actually, I’d avoid Tokyo in general as it’s pretty much always crowded. That being said, the crowds are pretty orderly. They have tons of staff (and police) to control the flow of people, to keep passageways free and to ensure everyone can see. If you want to get closer, you just ask and you will politely be invited to step on the other side of the rope which is there to keep an open throughway. When you consider the heat (‘feels like 41 degrees’), it’s actually amazing that there are no fights, no pushing, no bad behaviour of any sort. The homeless dudes (yes, there are homeless people here) drink their sake in the shade and the families just walk on by. There was even one little blond boy who lost his mum. He was just chatting away to a policeman and some festival organizers until his frantic mum found him. No panic, just follow the “lost-child plan” though I’m sure the fact that it was a non-Japanese speaking blond kid threw them for a bit of a loop.